Dropbox announced a partnership with Microsoft today, which will bring integration of Office services into the online storage app and vice versa. Once updated for Android, Dropbox users will be able to edit Office files from within the storage application, and Office users will be able to access Dropbox files from the Office app. In addition, the Office app will feature the ability to share links associated with files in your Dropbox account, allowing users of both services to get much more work done within a single app instead of using both simultaneously. Here is a look at the full upcoming changelog. Edit Office files from the Dropbox mobile app and sync changes across devices. Create a file at home and finish it on the go — any edits will automatically save to your Dropbox. 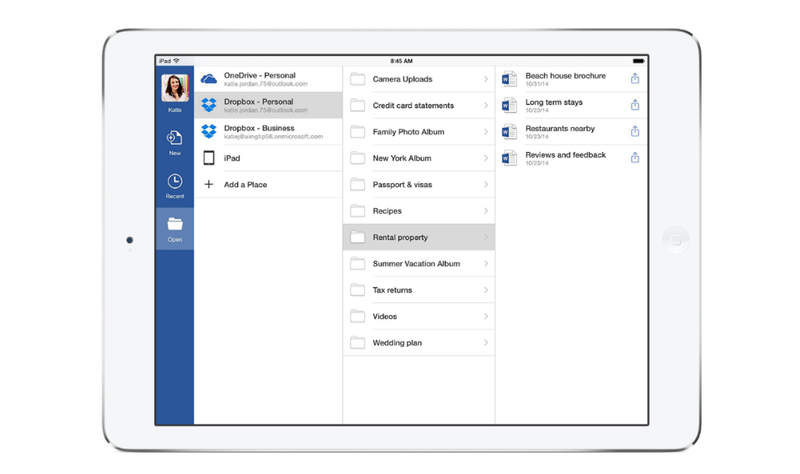 Access Dropbox files from the Office app and save new files to Dropbox. You can now sync your docs and keep them safe without leaving the Office app. Share Dropbox links from Office. When you’ve finished making changes to your document, you can instantly share it by sending a Dropbox link to colleagues or friends. These features will rollout to Android and iOS users over the next couple of weeks. Keep your eyes peeled.